Instagram is one of those platforms that keeps changing things around in its mobile app in the name of “improving the user experience”. On the same lines, the company has now announced that it is doing some more shuffling, this time to the profile page. The company has announced that it is working on a new design for your profile page on the app to make things a bit easier to navigate. So, in the coming weeks, you might see some features rearranged on your profile page. According to Instagram, the new design will make profiles easier and cleaner to use. As you can see from the screenshots shared by Instagram, users’ profile photo, bio, etc. have been given more importance. The followers and following count have been pushed down. It looks as though the company wants to give importance to the profile than the follower count, which, in my opinion, is great. This will give users a chance to express themselves better without being judged for the number of followers. 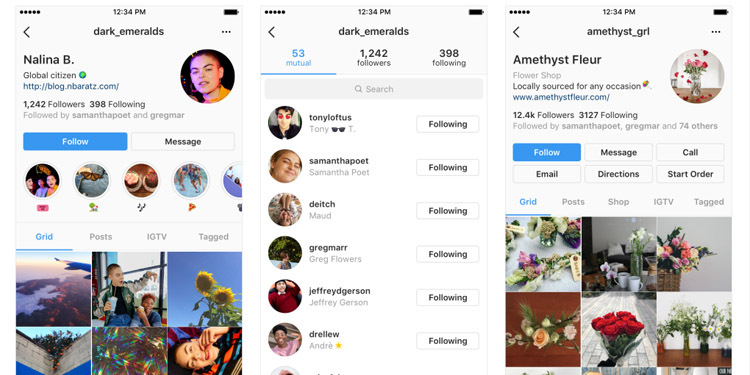 Instagram says it is testing these changes in phases. So it might not reflect on your profile just yet. The company will apparently continue to experiment and update the experience as they learn from the feedback. Looking at the screenshots, what do you think about the new design of the profile page? Do you think it’s a good move by Instagram? Let us know by dropping your comment down below.